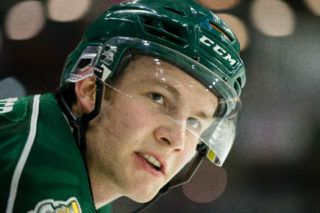 EVERETT, Wash. – The Everett Silvertips (@WHLSilvertips), proud members of the Western Hockey League, and general manager Garry Davidson announced today the club has acquired forward Ethan O’Rourke from the Prince George Cougars in exchange for forward Ethan Browne. O’Rourke, 18, has 16 points in 57 games with 32 penalty minutes in his career with Prince George and this season has five goals and 14 points with the Cougars in 37 games. The 6-foot-5, 208 pound forward was a third round selection of the Cougars in the 2014 WHL Draft. As the tallest player on the Cougars roster, O’Rourke had the first two-goal game of his career on Nov. 15 against the Kamloops Blazers, in a 5-4 victory. 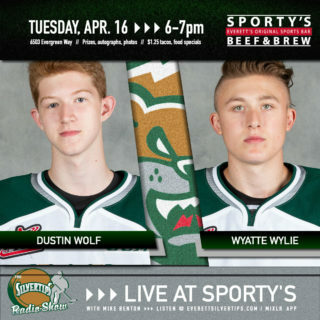 Browne, a 2001-born forward, had one assist in eight games with the Silvertips this season and last season had 29 points in 27 games with Sherwood Park (AMHL), ranking fifth in scoring on the club. 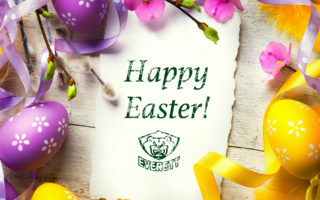 The Sherwood Park, Alberta native was a first round selection (14th overall) by the Silvertips in the 2016 WHL Draft. 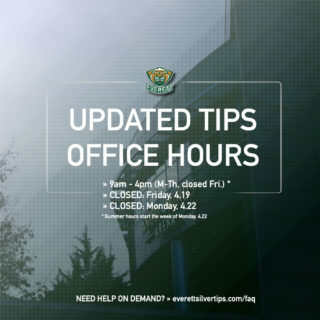 The Tips return to the road Friday, Jan. 5 at Save-On-Foods Memorial Centre to visit the Victoria Royals at 7:05 p.m. (Fox Sports 1380 / FM 95.3). 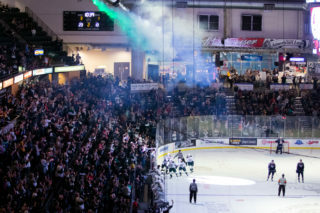 The Tips return home Saturday night, Jan. 6 and host the Portland Winterhawks at 7:05 p.m. Tickets are on sale at www.everettsilvertips.com/tickets.